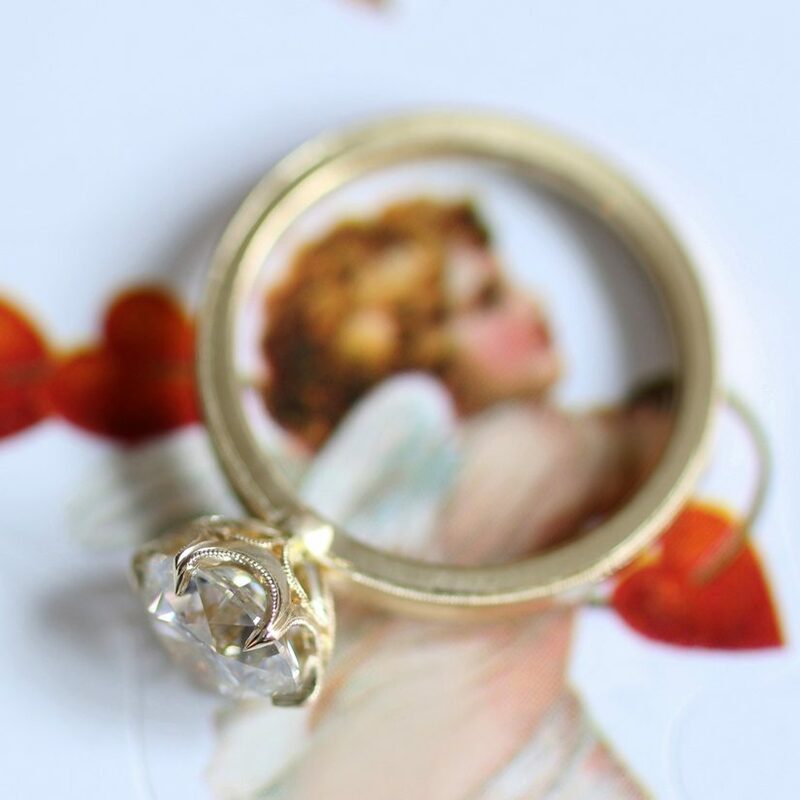 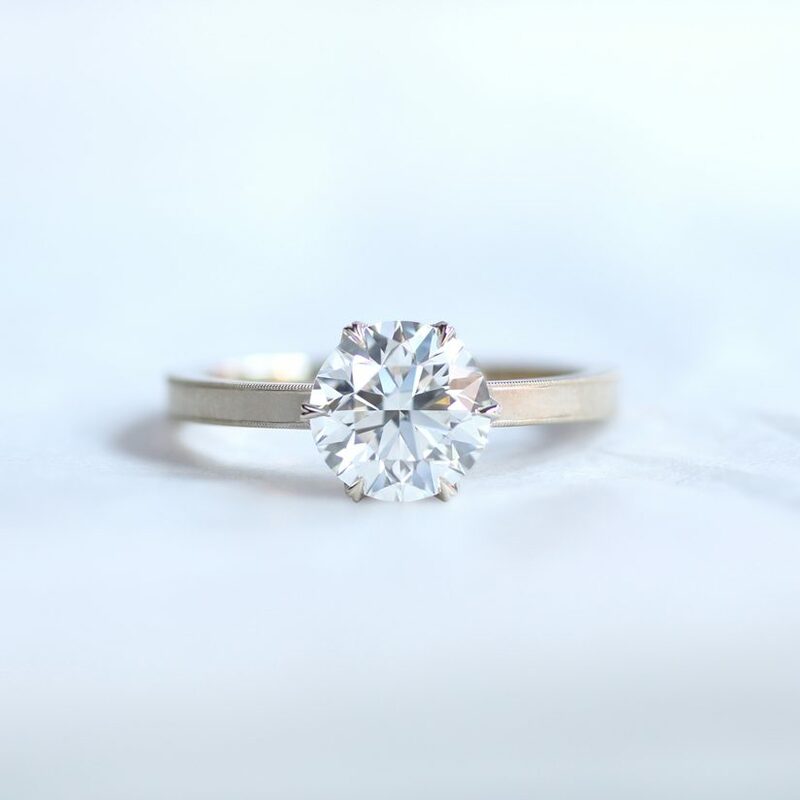 Handcrafted 6-prong solitaire engagement ring with open-petal gallery • Features Erika Winters Fine Jewelry signature brushed finish and milgrain detail • Available in platinum, 18k yellow gold, and 18k rose gold. 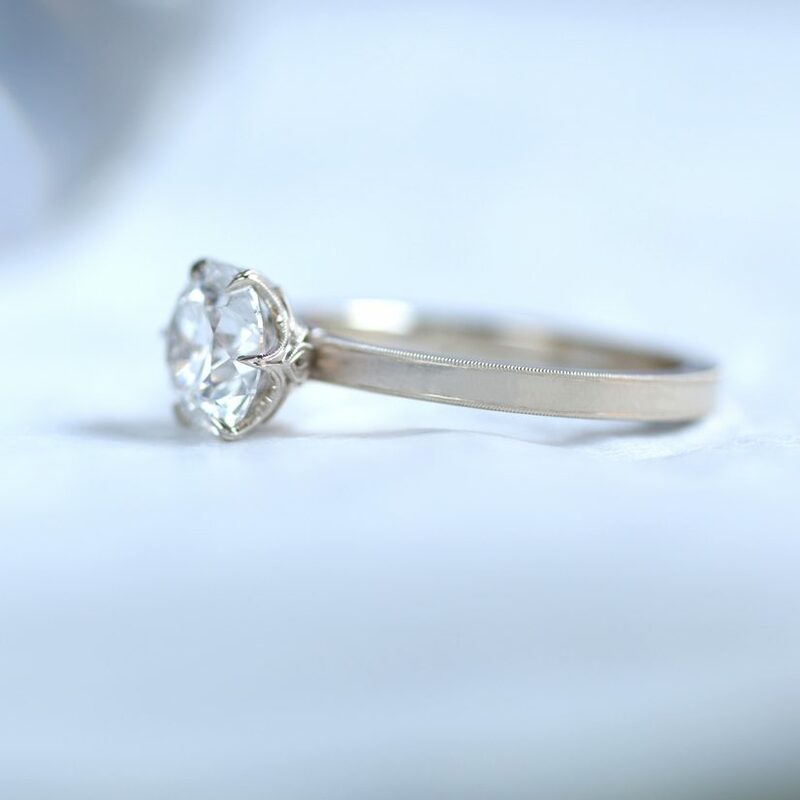 The Grace Cathedral accommodates round diamonds of 1.0-carat or more. 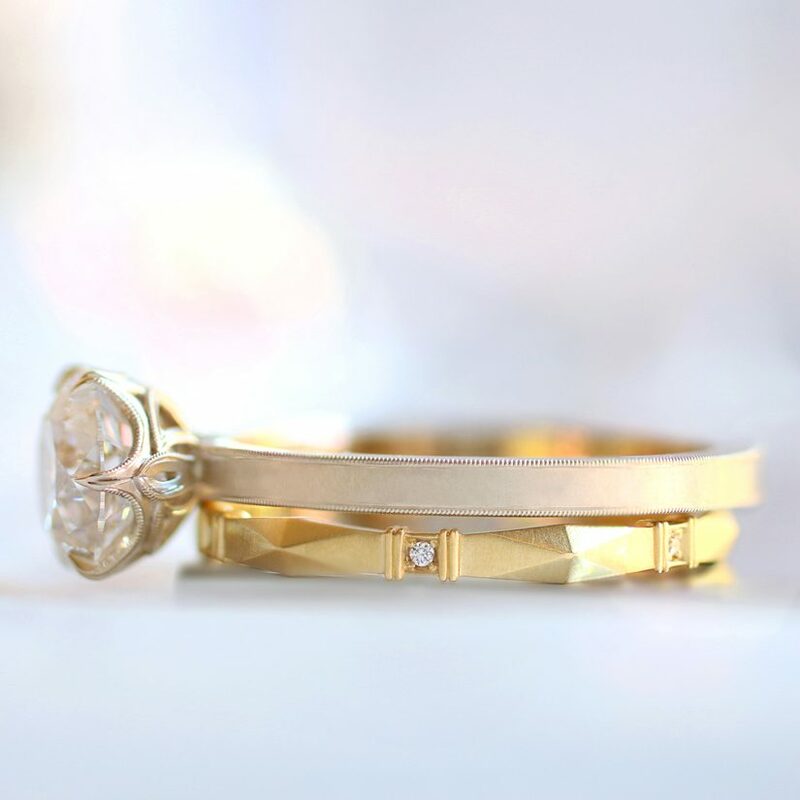 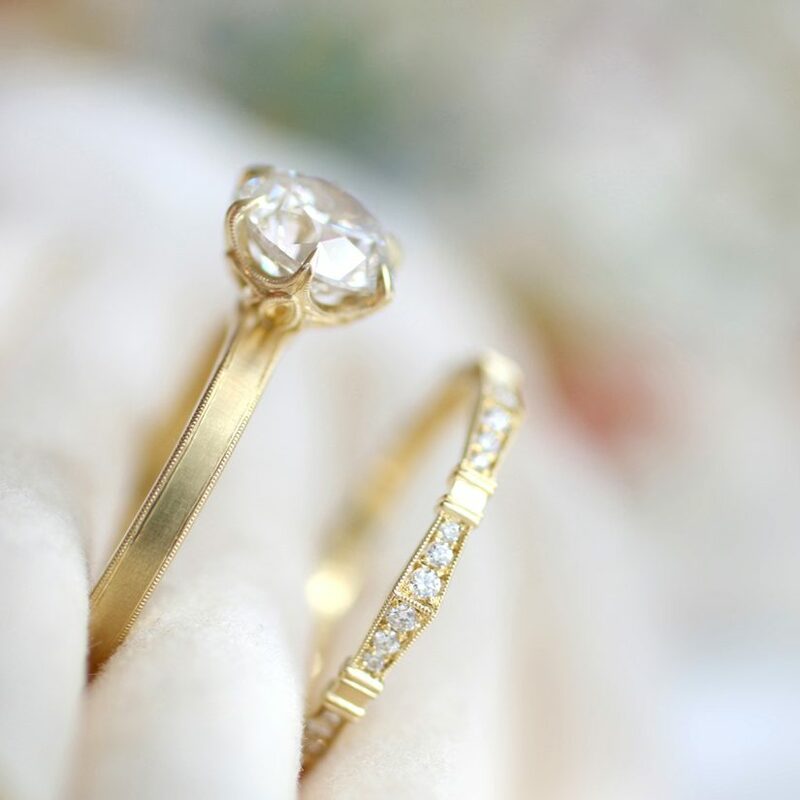 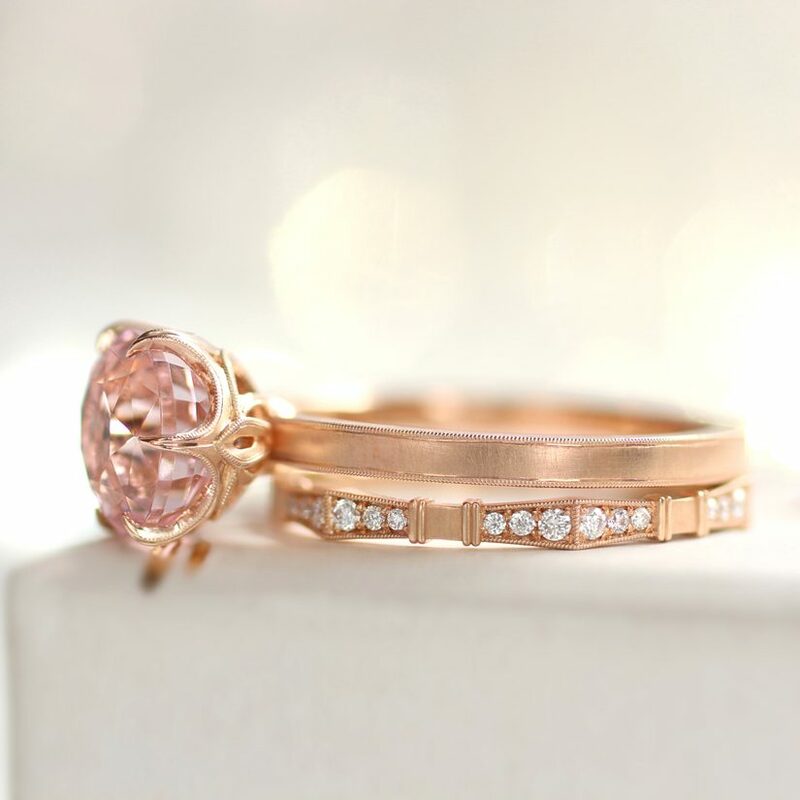 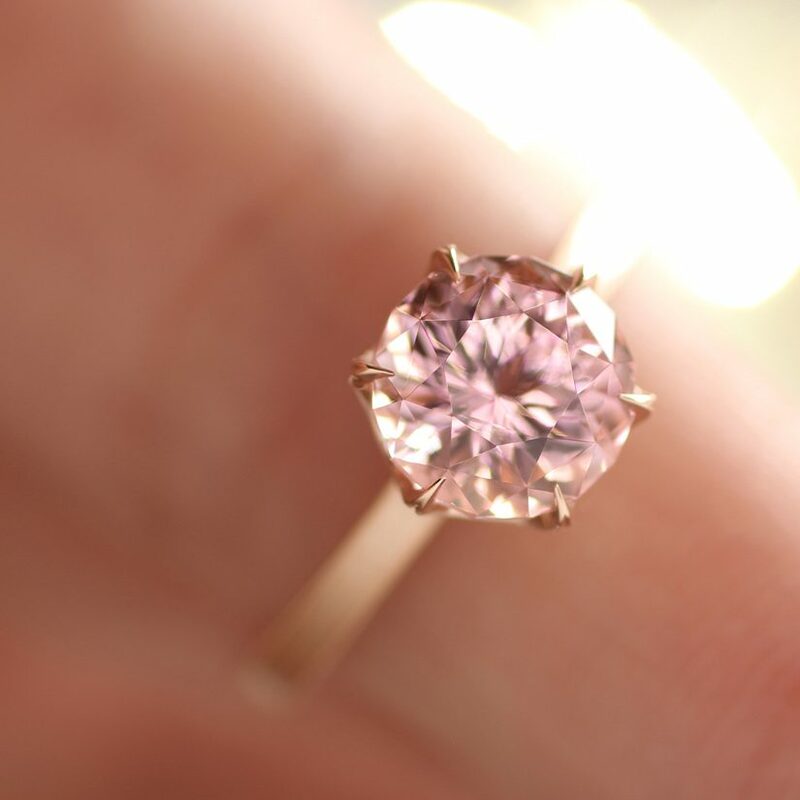 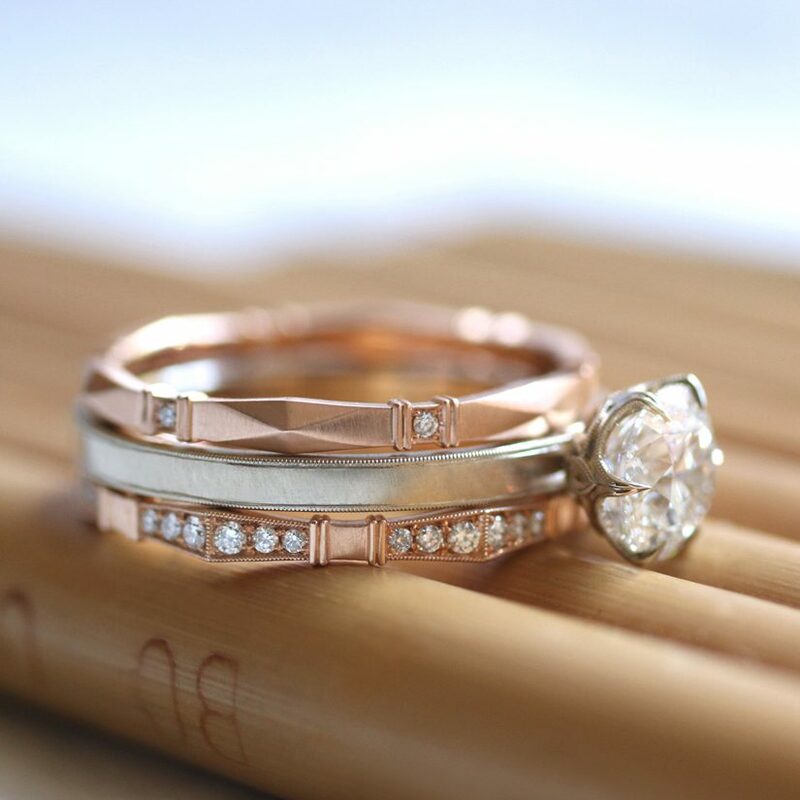 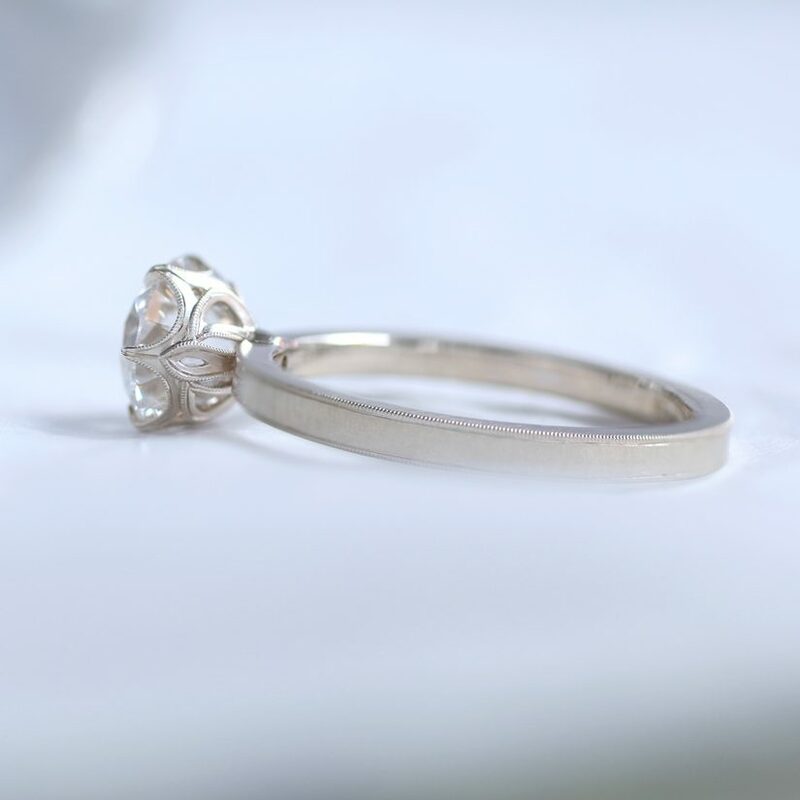 The Grace solitaire can also be ordered with the original 8 prongs and diamond-petal detail. 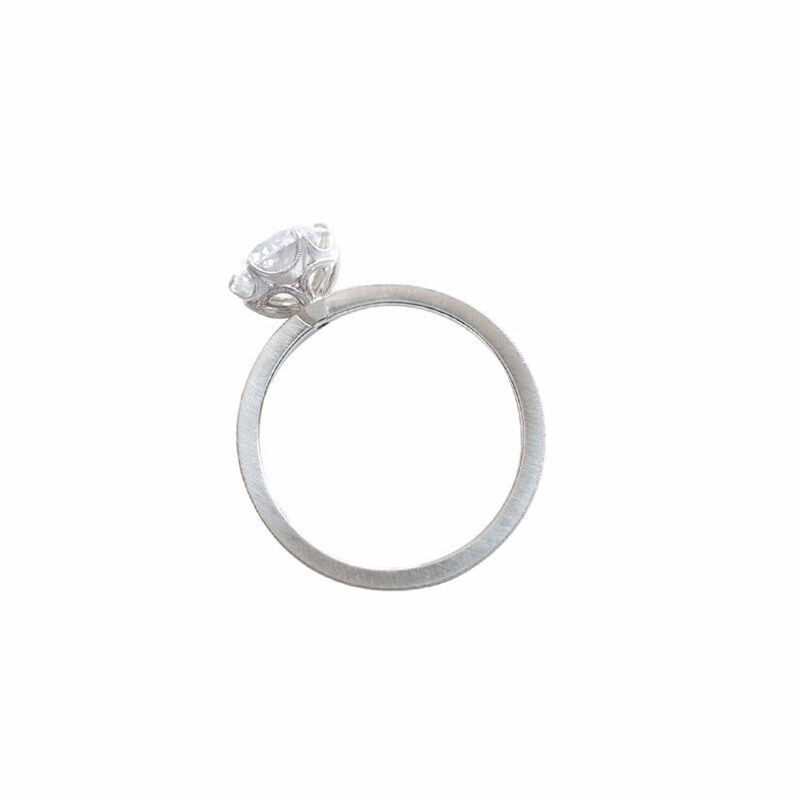 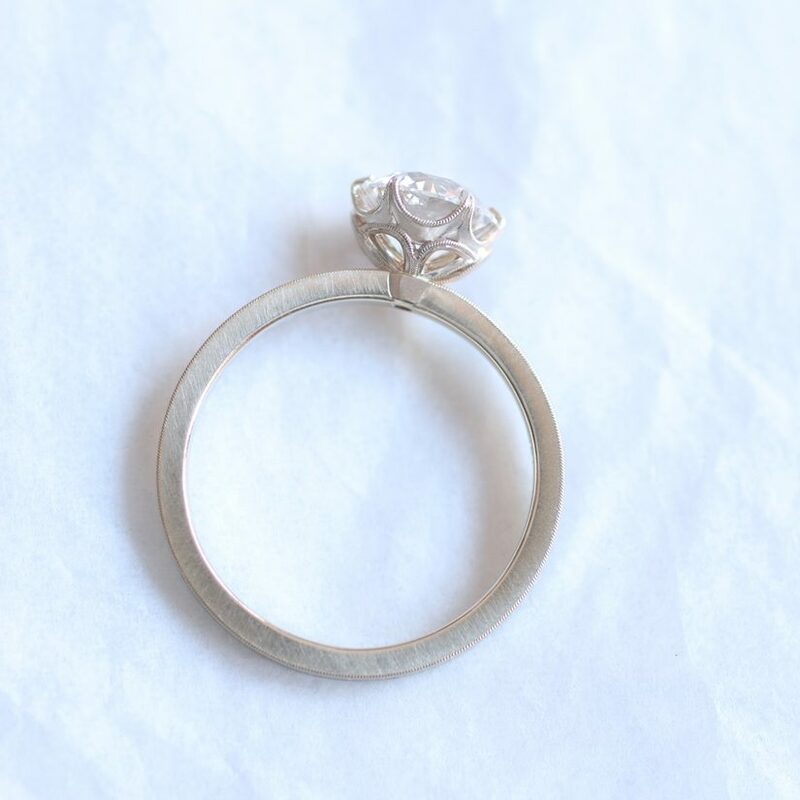 The Grace 6-Prong Solitaire ring is available by special order.